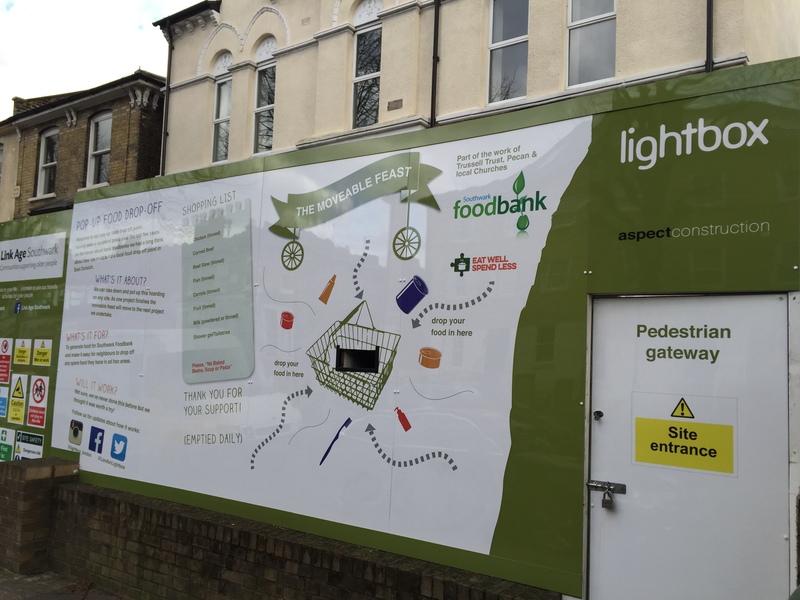 Having started out giving food to both the West Norwood and Southwark Foodbanks at Christmas we soon realised the need to do more throughout the year. 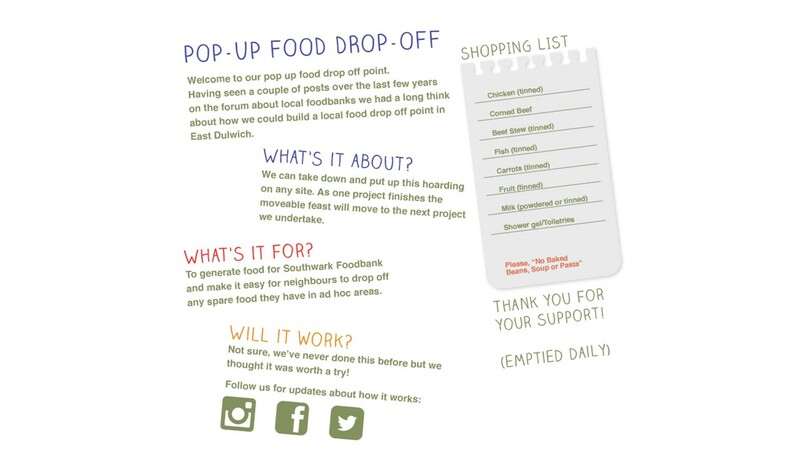 Working with the teams at Lambeth and Southwark Foodbanks we came up with the idea of The Moveable Feast. We have had an amazing response with stacks of food being dropped off at our first attempt at Barry Road, East Dulwich. This drop off point is now closed but keep an eye out for more live drop off points on our website and whilst you’re out and about.